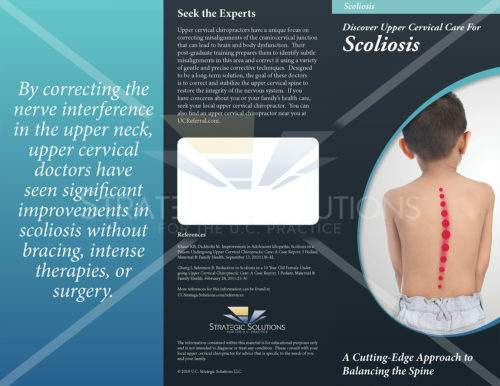 Trifold brochure with a sharp design, premium quality and high resolution colorful graphics depicting the effects that a craniocervical junction misalignment has on posture. 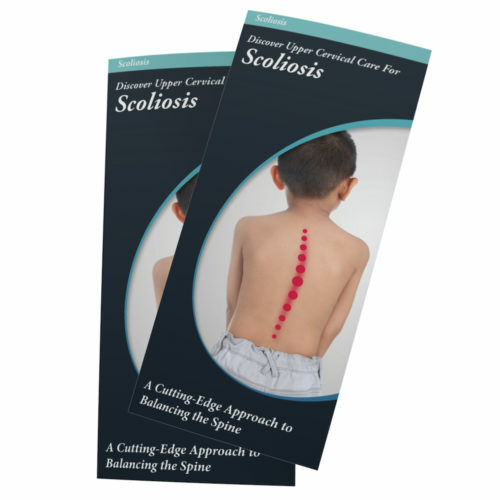 Save 26% per brochure by starting with the Upper Cervical Brochures 9-Pack. Watermarks on images do not appear on final product. 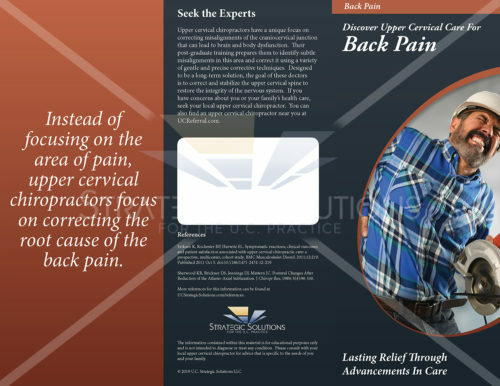 A patient-oriented brochure focused on explaining the effects of a craniocervical misalignment on posture and pain. 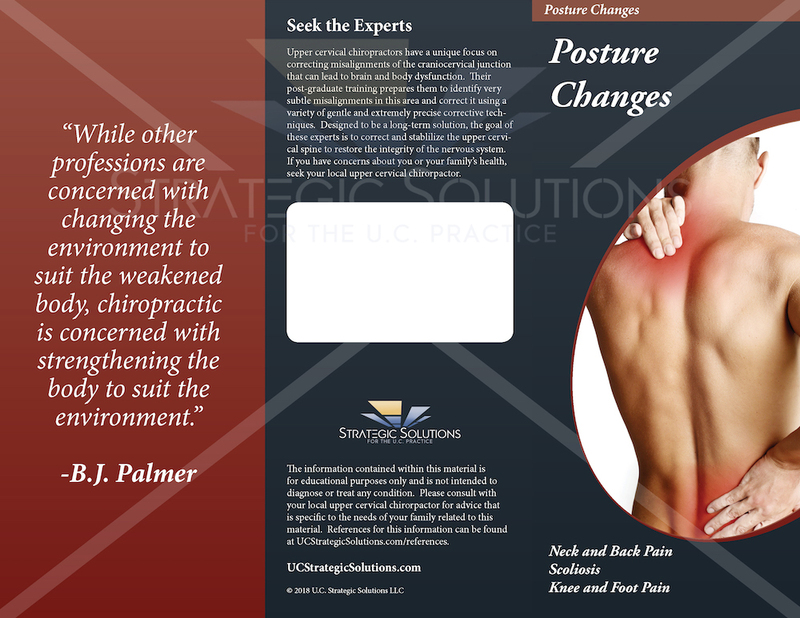 “Posture imbalance is often a consequence of nerve interference in the upper neck. The “posture control center”, called the vestibular nucleus, is located in the brainstem. 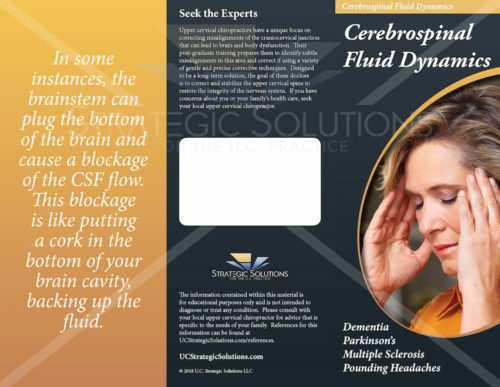 The brainstem is located between the base of the brain and the top of the neck, descending through an area called the craniocervical junction. 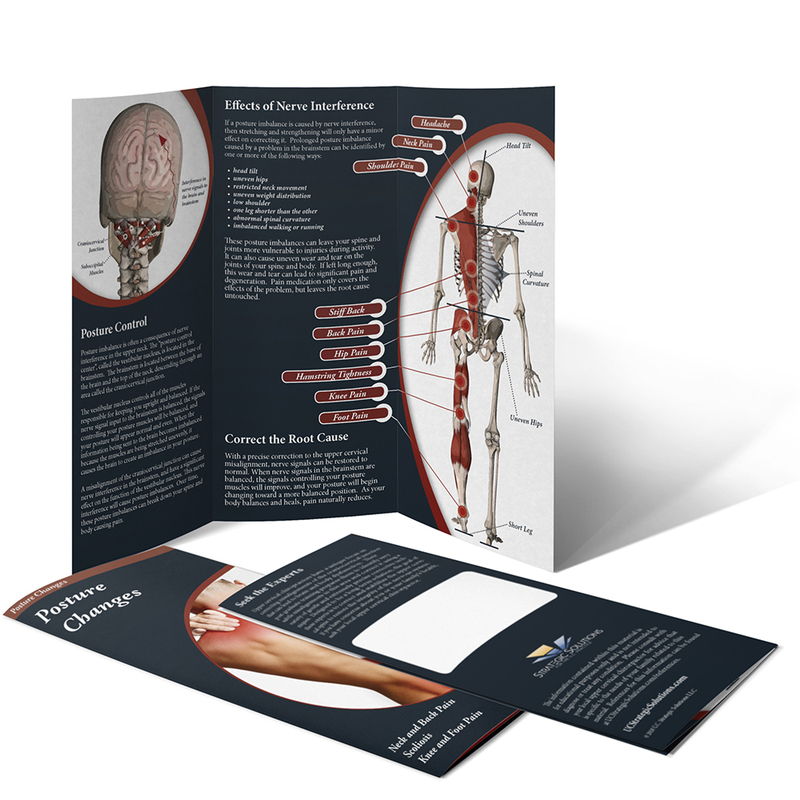 The vestibular nucleus controls all of the muscles responsible for keeping you upright and balanced. 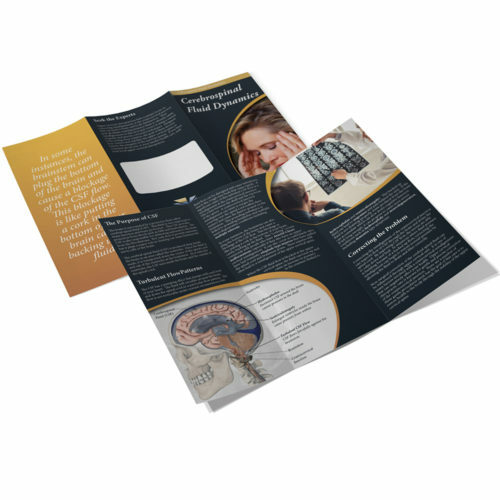 If the nerve signal input to the brainstem is balanced, the signals controlling your posture muscles will be balanced, and your posture will appear normal and even. 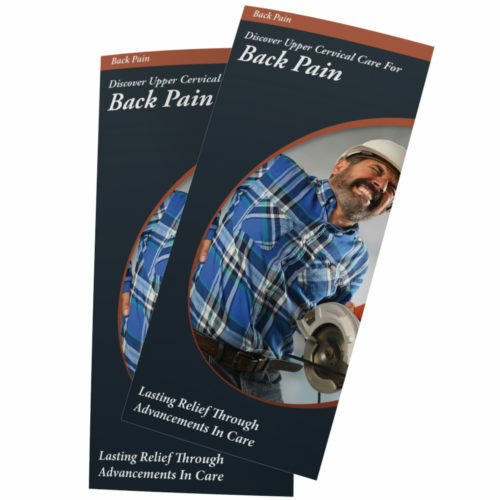 When the information being sent to the brain becomes imbalanced because the muscles are being stretched unevenly, it causes the brain to create an imbalance in your posture.